[Folkert van Heusden] installed a bunch of cameras in and around his home. Ostensibly this is for watching the kitties from work, but we’re sure the more accepted purpose is for security. He and his wife don’t really want the cameras rolling when they’re at home. So he added a system by the front door with uses a transit pass to turn on and off the security cameras. The pass is an RFID tag which gets them on the subways, trains, and buses around the Netherlands. To use it with this system he needed an RFID reader. The one he chose is a USB device which enumerates as an HID keyboard. When it detects a valid card it outputs the tag id as a string of characters. [Folkert’s] setup uses an eeePC with a broken keyboard to connect to the reader. A perl script monitors the feed from the reader, and verifies each code as it is received. After authentication the script will enable or disable the networked cameras and update the LED readout accordingly. To keep everything hidden he put it in the closet, using a hole (from a doorknob?) as a wire pass-through. 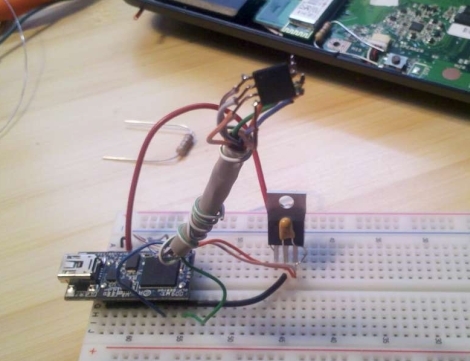 Hack a Day reader [The_Glu] shared with us a project of his. 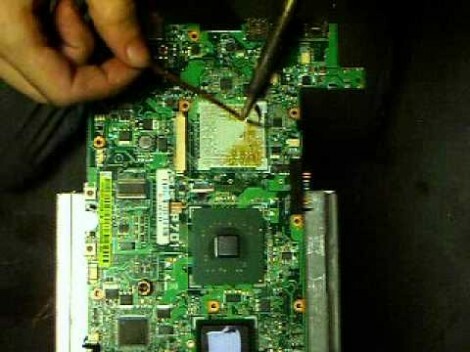 He used an Eee PC 701 he had lying around with a broken LCD, along with three 1TB SATA drives to create a custom NAS server for his house. 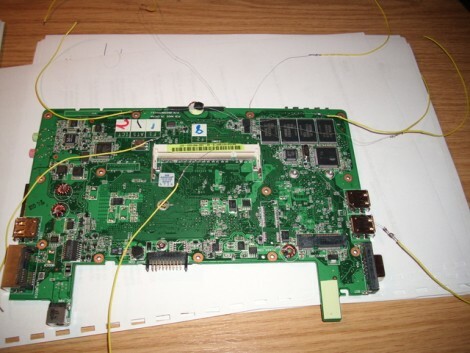 The server features a number of other interesting components, including USB2SATA converters to connect the hard drives, as well as a 2 line LCD to display RAID information and server status. The entire project is wrapped up in a custom made Plexiglas enclosure with case fans to keep the whole thing cool. While this may not be the first Eee PC NAS, or the fastest, this is a wonderful way to repurpose a broken netbook. We also love the idea of netbooks being used more and more in projects like these as the first generation reaches its end of usefulness age. More pictures after the break. Hackit: Are you running OSX on your netbook? AppleDifferent decided to run some benchmarks on their MSI Wind hackintosh to see how it stacked up to real Apple hardware. It comes in under the MacBook Air in most cases and they conclude that it performs about as well as a four year old G4. Being so small and inexpensive, you can’t really expect much better. As a counterpoint, Obsessable posted a video demoing just how slow a first generation Eee PC can be (embedded below). Boing Boing Gadgets is maintaining an OSX netbook compatibility chart. It shows that the MSI Wind is probably the best case for OSX usability. If we were buying today, we’d probably pick up a Dell Mini 9 even though it requires an SSD upgrade before it will sleep properly. Are any of you running OSX as the primary OS on your netbooks? What has your experience been?